When it comes to choosing a breast augmentation doctor, it’s important to find a plastic surgeon with an excellent word-of-mouth reputation. Dr. James J. Chao is known throughout the greater San Diego area for his warm professionalism and surgical talent. Dr. Chao is a board-certified plastic surgeon, performing procedures like breast augmentation, breast reduction, breast lifts, and more at Oasis MD in Encinitas. 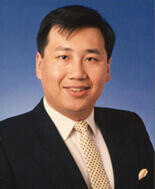 Dr. Chao is board-certified, with over 18 years of experience. His extensive training in breast augmentation and other plastic surgery procedures puts him a step ahead other doctors in San Diego. Dr. Chao began his education at Stanford University, receiving degrees in both Microbiology and Psychology. He went on to the University of Miami School of Medicine to study medicine and earn his Ph.D. After that, Dr. Chao got his Master’s in Microbiology and an MD degree in Medical Science Training at New York University School of Medicine. He wrapped up his education with two hands-on residencies and a fellowship at NYU Medical Center. When he’s not treating patients at his clinics in Encinitas or Rancho Cucamonga, Dr. Chao serves as a Professor of Plastic Surgery at the University of California at San Diego. Dr. Chao enjoys meeting with patients at Oasis MD in Encinitas, near Escondido, La Jolla, El Cajon, Temecula, Chula Vista, and the greater San Diego area. Your consultation will include an in-depth discussion with Dr. Chao about your candidacy, pricing, and potential results. Oasis MD uses 3-D imaging to predict realistic before-after results. Contact our representatives now to schedule a free consultation with Dr. Chao. Contact us to arrange a private consultation with Dr. James J. Chao, FACS - Encinitas today.